يقع في بنكر بيه دونسبورف, Bay Village Resort & Spa Dunsborough إنه المكان الأنسب لاكتشاف مارجريت ريفر واين ريجيون و ما يحيطها. يمكن من هنا للضيوف الاستمتاع بسهولة الوصول إلى كل ما تقدمه هذه المدينة النابضة بالحياة. يوفر الفندق بفضل موقعة الجيد وصولاً سهلاً إلى أهم معالم المدينة.
. استمتع بالخدمات الراقية والضيافة التي لا مثيل لها بهذا الفندق في مارجريت ريفر واين ريجيون. يقدم هذا الفندق العديد من الخدمات الكفيلة بإرضاء أكثر الضيوف تطلباً. تتضمن كل غرف النزلاء وسائل الراحة والتسلية المصممة خصيصاً لضمان الراحة القصوى للضيوف. كما أن مجموعة الخدمات الواسعة الموجودة في الفندق لضمان راحتك تترك لك الكثير من الخيارات لقضاء وقتك أثناء فترة إقامتك. 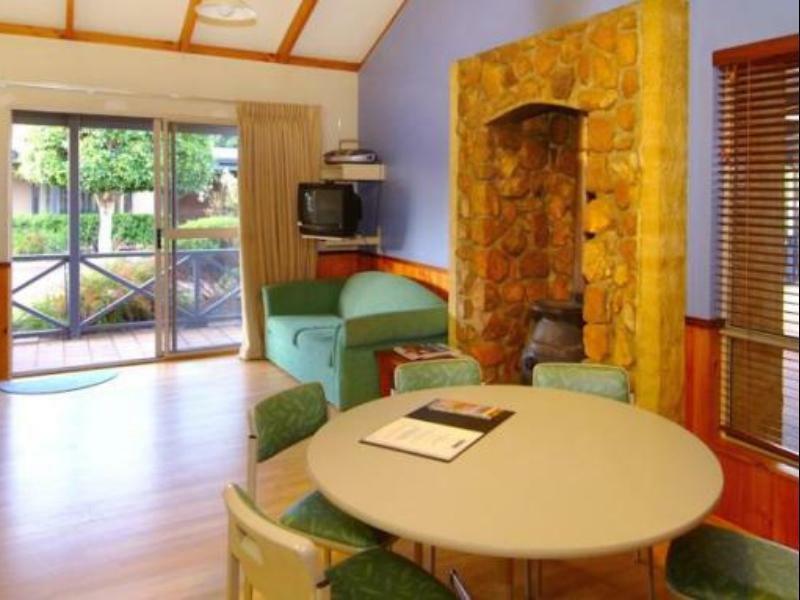 استمتع بخدمات لا يعلى عليها وعنوان ذو اعتبار في Bay Village Resort & Spa Dunsborough . Great lovation. Close to town and the beach. 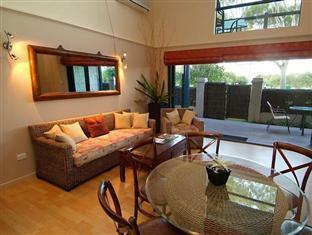 Great location, walking distance to beach and shops and a view of the beach from the balcony. 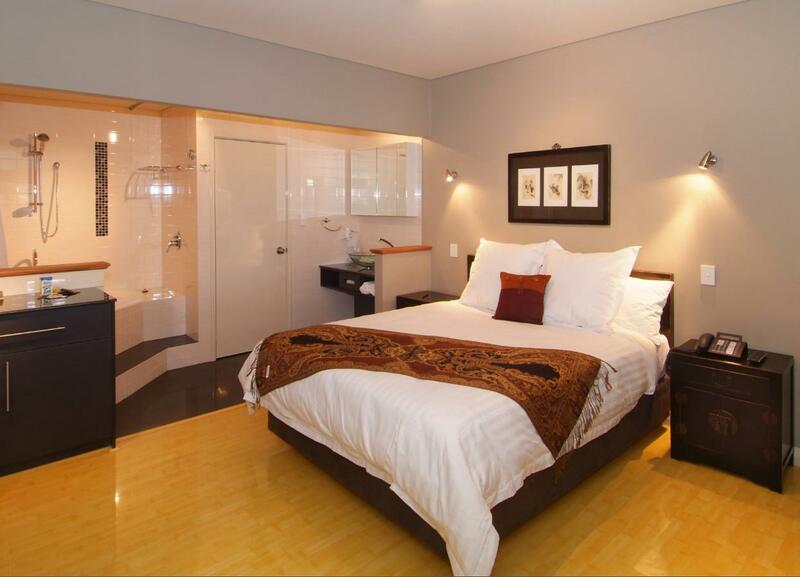 The rooms are spacious and there is a good bbq. However, we were disappointed in the quality of the beds, the springs could be felt in the single mattresses. There was detritus from previous occupants in the bedrooms, ants on two walls and very noisy clanging pipes from the bathroom. Didn't meet our expectation for the cost or rating. You are basically paying for the location, the rooms are average but definitely not worth the price. Beautiful little complex in perfect location- right in the heart of Dunsbrough. 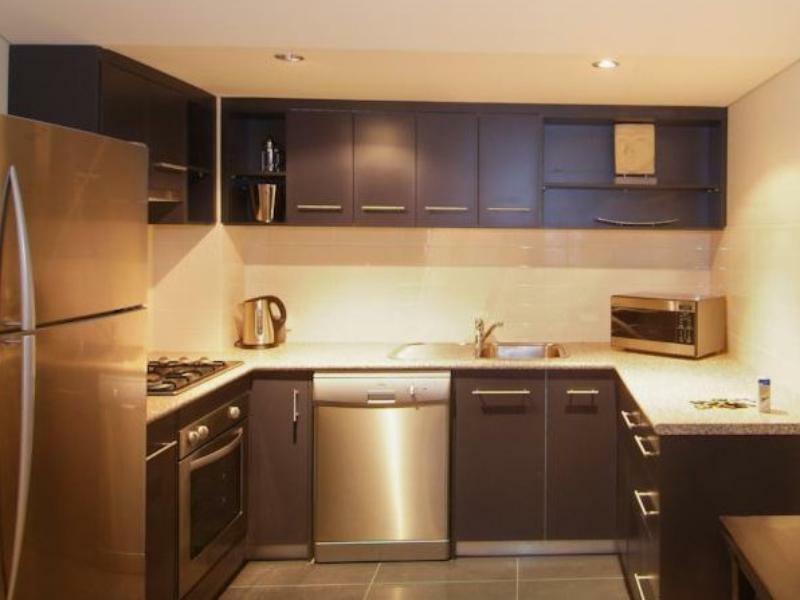 Walking distance to everything- the beach, retail stores, pubs and bars, restaurants and supermarkets. A little over priced considering there are so many accommodation options in town, but I can justify it in someways due to the location. The resort is not overly family friendly (more suited to couples or people travelling without children) but there is a fantastic kids park next door. We had such a lovely stay here, the resort is on the footstep of the town and 2 mins walk to the beach. Such a fantastic location, friendly staff members. Will be back next time we're in Dunsborough! Good location but didn't like other guests smoking right outside our window. 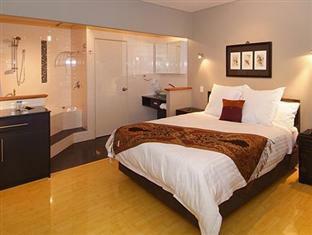 Good accommodation but way over priced, there is much better value for the money. The room I was in was a bed-sit, shower/bath in the bedroom, a small room, queen bed, nothing special, big money, not worth the money for what you get, a basic simple room. My partner and I had an enjoyable stay at the Bay Village Resort. We enjoyed the short walk to the beach for a morning swim, and been in the centre of town made it easy to stroll around looking for a place for dinner each night. Room was comfortable and clean. Enjoyed our stay. Had an enjoyable stay here! 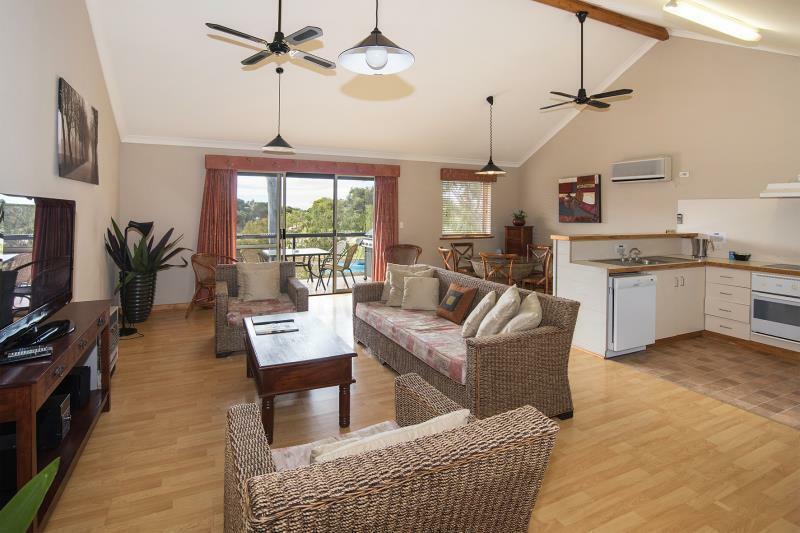 Great location in Dunsborough. Went down for Gourmet Escape and stayed 3 nights in one the Chalets with 2 friends. Had everything we needed to make life easy. The chalet was clean enough, but does need a bit more detail cleaning/dusting on some of the surfaces. Also was a little weird that while there was lots of power points around the chalet, only half of them worked!! The reception staff are friendly when we checked in and out. Only issue that would prevent me from staying again in the future if the Gourmet Escape dates clashed would be schoolies; they do accept schoolie bookings and on the final night of our stay, we had to listen to the chalet opposite us having full on booze related domestic fights/punch-up's, while on the main road, there was lots of screaming and car alarms going off, which did spoil the final day of the trip because we left early and got out of Dunsborough as quickly as possible because we didn't want to stick around with the 1000's of schoolies descending on the place! 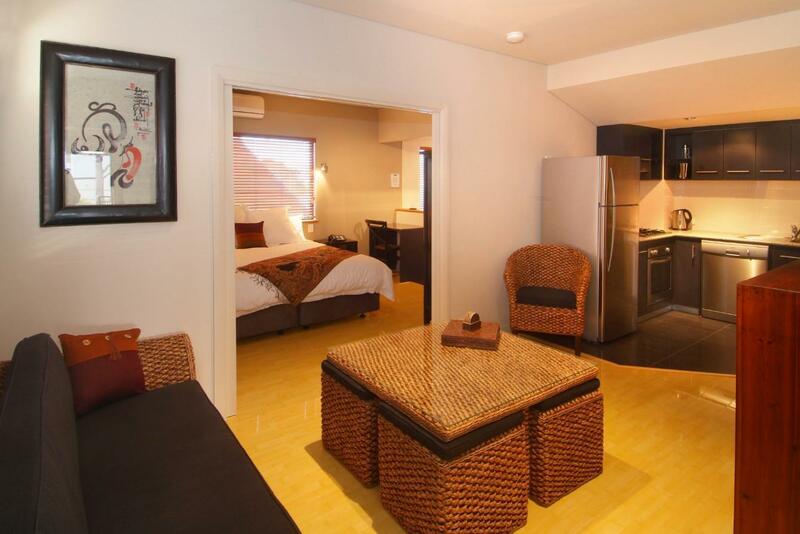 $250 per night for a small room. Staff are virtually non-existent. Checked in via an intercom system at 6pm as staff were done for the day. Shower was pitiful, more of a heavy dribble than an actual shower. No iron. Didn't receive a top up of shower gel or shampoo etc. Rooms are clean and it has a great location to the beach but for this price it is absolutely absurd. Stayed in a lot of hotels around the world and in WA and I must admit I've never felt so ripped off as with this one. 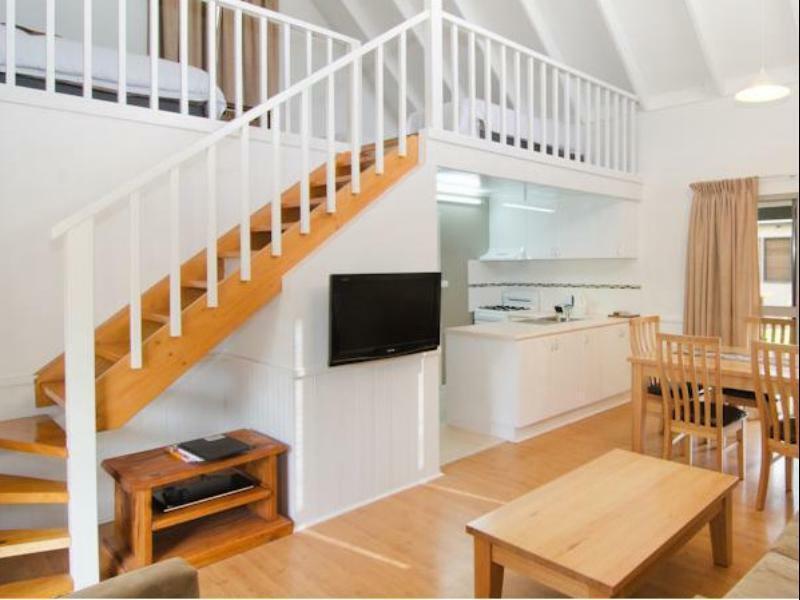 I would suggest trying AirBnB for any stays down in Dunsborough. Whatever you do, avoid staying here. 2nd time staying here and we weren,t disappointed. Its clean and spacous. Great location very east to access the breweries and wineries. Great for whomever drives during the day as you can park up for the evening. There are plenty of eating and drinking places to access on foot. 5 minutes walk to a lovely beach.